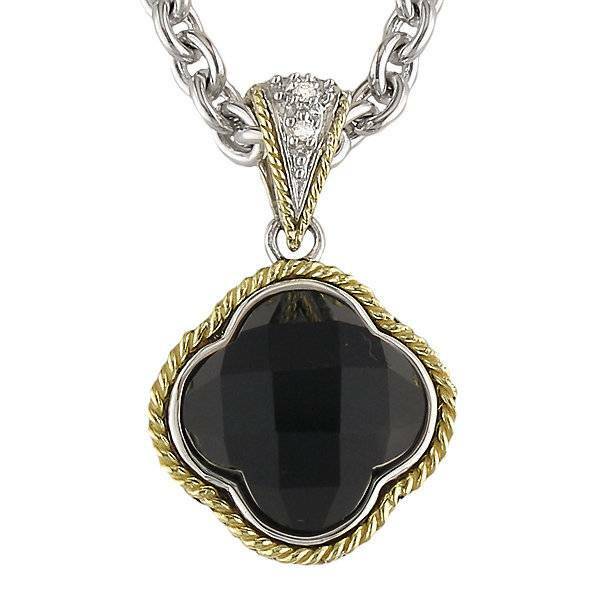 Sterling silver rope chain & 18kt yellow gold braided necklace featuring a black onyx clover with diamond accents. Part of the Trebol Collection. Adjustable 18″ – 20″ Sterling Silver Rope Chain.